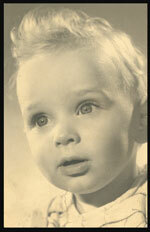 This is an early picture, I was wide eyed and innocent then but it didn't last long. A few years after this was taken I began school, 12 years later they let me out. I moved on to the coffehouse circuit interspersed with brief visits to the Southern Conn. cafeteria to catch up on classes. Pretty soon the lure of the street called me and I hit the hippie highway. After various adventures (you can use your imagination here) I returned to my ancestral home, a converted carriage house in Washington, CT. My Father was an artist, Russian obviously, my mother was a nice Brooklyn girl (its a long story). I became a house painter, then an entertainment agent (The Savoy Agency) for about 10 yrs, then a mime for 12 yrs, then a graphic designer (9yrs), and now I design web sites. If you really want to know what makes me tick, join the club. I'm 57 years old (Gemini) and haven't figured it out myself. My favorite color is blue. I don't really know what you can learn from any Bio. the best understanding you can have of someone is to meet them personally. I suggest we do that if you're interested in my services.